Up for review today is a single malt by Glencadam, a distillery I wasn’t aware of until roughly two years ago when we hosted a cigar and scotch pairing together at Davidoff on 6th avenue. I was unimpressed by the Glencadam Origin 1825, the distillery’s current NAS offering, but found myself wanting to return again to the 10 Year outside the context of an event. I’m glad I did. This is good whisky. 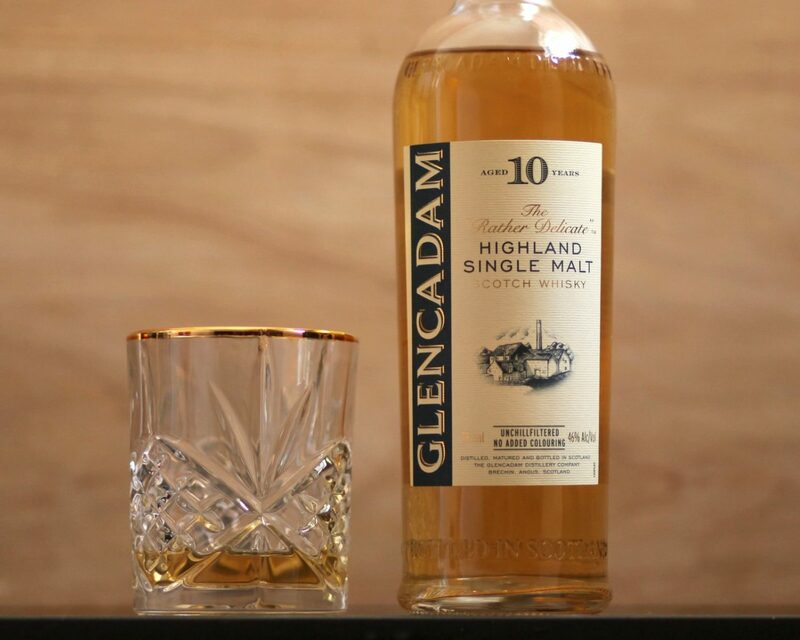 Glencadam 10 comes presented in a traditional bottle with a fairly traditional label. I like the cream color the company chose for the label, as well as the illustration of the distillery that graces the center. The cork is, strangely, not quite centered when in the bottle. 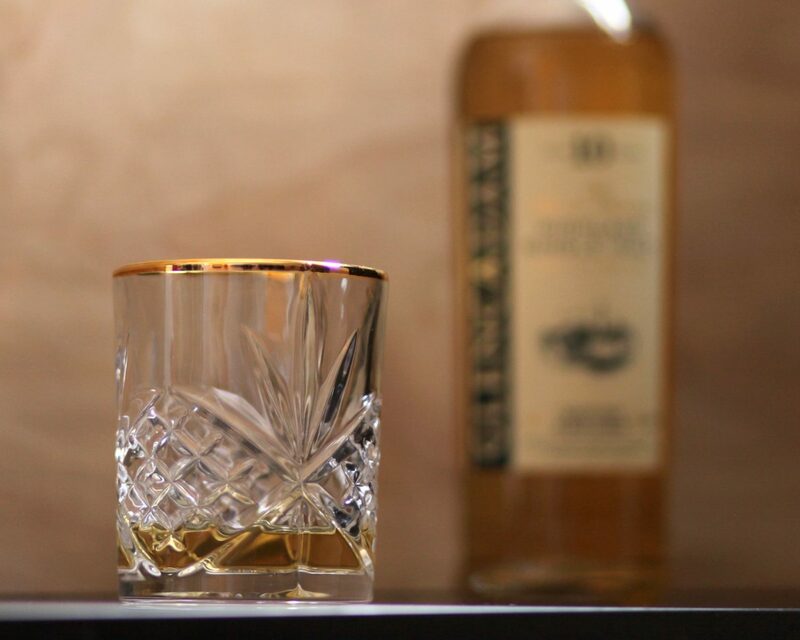 The whisky itself is the light, slightly golden color of hay. The nose is light, but complex. Most prominent are notes of salt, vanilla, hay, grapes, and warm apple pie. It’s not a showstopping nose that you might get from a heavy-hitter like an Ardbeg, but then again, that’s clearly not what Glencadam is going for here. Mild bodied, but with slight ethanol burn. On entry, I get lots of salt, oak, and vanilla, followed by some sweet maltiness. All these flavors over a backdrop of a nice creaminess on the texture. Not very complex, but definitely enjoyable. I like the finish. It’s quite long (15 – 20 seconds), with lots of sea-salt and light, sweet breadiness. Where some whiskies allow the breadiness/yeastiness on the finish to dominate, Glencadam 10 doesn’t, and I’m grateful for that. After drinking three quarters of a bottle (not all in one sitting mind you), I’d put myself down as a fan of Glencadam 10. It labels itself the “rather delicate” Highland single malt, and I think it lives up to that characterization. Though light, it puts a strong foot forward on flavor, with nice complexity to boot. At around $55, Glencadam 10 sits in a competitive price bracket, with lots of great options. But if you’re looking for a milder, Springier single malt to uncork between April and June, give this whisky a try.